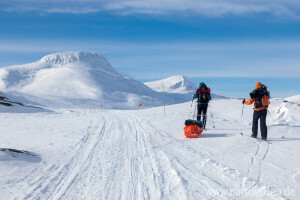 Following the Kungsleden trail between Nikkaluokta and Abisko on skis is a tour you will remember your whole life. Plan an extra day for bad weather or for day tours at one of the huts. 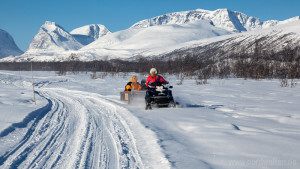 We have have some suggestions for shorter day tours on skis in the Nikkaluokta area.It is nice to ski on snowmobile tracks in th three valleys of Nikkaluokta. During season we maintain a prepared ski track for classic style and skate. In winter time, snowmobiles are the best transports in the mountains. 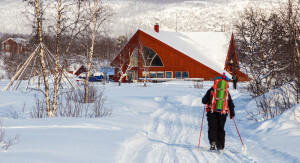 Druing our winter season we offer snowmobiletransfer to the STF huts. 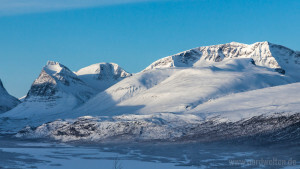 There is daily transfer between Nikkaluokta and STF Kebnekaise Mountain Station. Get more information here.